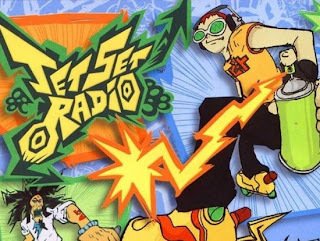 Sega has confirmed that Jet Set Radio will be coming to the PS Vita, the game will be a advanced port of the classic dreamcast version, but with better visuals, camera and touchscreen integration. "The fan reaction to our recent reveal of Jet Set Radio has been incredible. As Jet Set Radio is focused on creativity, the touch capabilities of the PlayStation Vita are proving to be a perfect fit." The game will also be coming to the Xbox Live Arcade, so don't expect it to be a full retail title. Have you ever played Jet Set Radio? Let us know in the comments below!